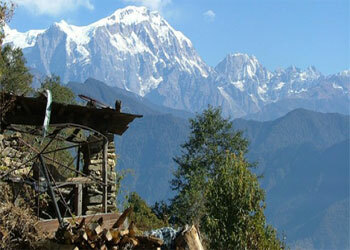 Essece of Nepal tour is the package designed for all those people who have got less time in Nepal but want to explore. 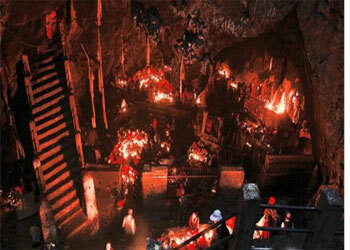 This type of tour provides the chance to explore peaceful, multi-ethnic culture and religious centers of Nepal. This tour includes the exploration of ancient temples, shrines, and golden pagodas and boasts one of the largest magnificent historical monuments ever built. 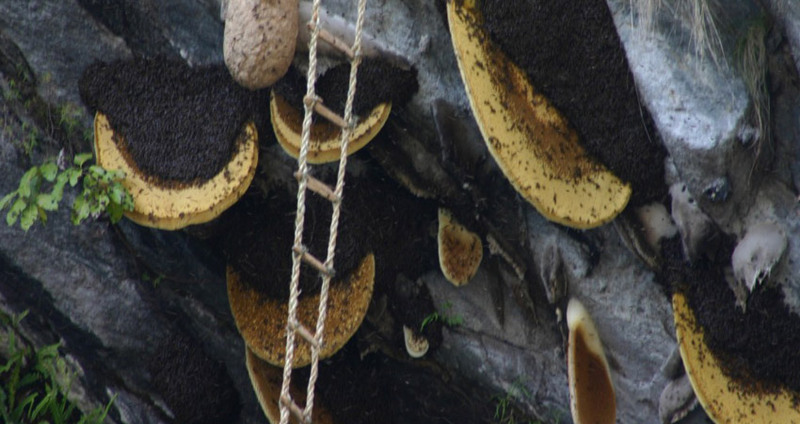 This tour lets the visitor experience the city in the very relaxed way while they are in Nepal. You would be visiting the Hindu Temple Pashupatinath, Biggest Buddhist Monastery Bhoudhanath and the city of Devotees Bhaktapur and small hill station Nagarkot from where you can see the good mountain view in a clear day. This Essence of Nepal tour trip especially offers you the high-quality understanding about history, nature, culture, architecture, and people. It also includes the spectacular mountain views, immense scenic beauty, and a unique cultural lifestyle. in Essence of Nepal tour, you will get the chance to enjoy the Himalayan scenery & the rural serenity away from the crowd and hectic valley. Nagarkot offers beautiful sunset and sunrise views over the magnificent mountains vistas with stunning views of a range of mighty snow-capped Himalayan peaks of the Langtang, Annapurna & Khumbu ranges. On a clear day, you will even see Everest. You will visit Bandipur Nepal picturesque local village. This itinerary covers the scenic drive to Pokhara offering a majestic view of the glorious Manaslu peaks and the snow-capped Annapurna mountain range. Pokhara, known as the city of the lake explore and the splendid tourist center with its features like Lake, David’s fall, Mahendra cave etc. and many other attractive places. You will get a chance to enjoy outstanding panoramic views that cover the Pokhara Valley & Phewa Lake framed by snow capped mountain peaks. 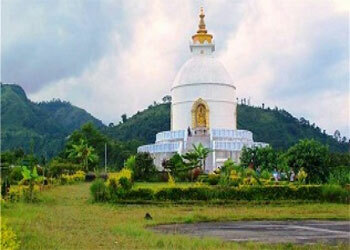 We will have Sunrise view at Sarangkot and also visit world peace pagoda. Day 01: - Greetings at Kathmandu Airport. Visit vibrant tourist hub of Kathmandu with quaint shops, eateries, hotels & lodges. Check into rooms at a hotel. Freshen up and have a sumptuous meal. Later leave to see the most enigmatic & ancient of Kathmandu temples – Swyambhunath Stupa, located atop a hillock with fantastic views of Kathmandu Valley. Also walk along the ridge to an ancient temple. Enjoy magnificent views at sunset time. Be back in Thamel by late evening – you could stroll & shop around here for a while and then be back in your hotel for dinner. Overnight stay in Thamel. Day 02: - Tour of – Pashupatinath, Boudhanath , Bhaktapur & Drive to Nagarkot after sunset drive back to Kathmandu. After breakfast drive about 30 minutes drive to reach the most famous monastery in this mountain city. Boudhanath the biggest Buddhist monastery after we will visit Pashupatinath ( the biggest Hundu Temple) later drive about 30 minutes to reach the old city of Bhaktapur – a UNESCO world heritage site. Spend the next few hours seeing the temples & palaces; almost all of them are completely restored and each is a magnificent work of art & architecture harmoniously blending, unbelievably intricate wood carving, mud bricks & copper. Later, have lunch and drive about 20 km in an hour to reach Nagarkot by early evening. Get to the View Tower at the highest point on the ridge that this town is located on. Spend sunset taking in the stunning views of a range of mighty snow clad Himalayan peaks of the Langtang, Annapurna & Khumbu ranges – on a clear day you would even be able to see Everest, drive back to Kathmandu. Day 03: - Kathmandu – drive to Bandipur about 5 hours drive. Leave after breakfast and drive towards Bandipur through scenic Prithvi highway Around noon you reach Bandipur,enjoy the stunning Newari architecture and the traditional lifestyle exemplified by the people, see buildings & temples of this place. Of course, you would also get the opportunity to taste the famous Newari cuisine. Overnight in Bandipur. Day 04 - Bandipur Village look around and drive to Pokhara. Today morning you can look around the Bandipur village, You could take leisurely walk around the town. It is a lovely little town with pretty much every house built in local Newari architecture. afternoon drive to Pokhara about 2 and half hour transfer to hotel at lakeside. Day 05: - Sunrise view from Sarangkot & Visit to the World Peace Pagoda. Wake up by 0500 hrs, freshen up & drive to Sarangkot. Spend time enjoying some incredible sunrise views of the Annapurna Peaks glowing in hues of orange & gold in the rays of the morning sun – what you’ll see is quite unforgettable and well worth the trouble of waking up early. Get back to your hotel in time to enjoy a sumptuous breakfast. Later you leave for a boat ride across the lake. Then do a walk of about 1 ½ hrs (each way) to reach the World Peace Pagoda – a 40 M high shrine built with Japanese aid. 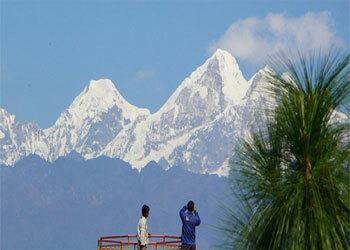 Enjoy outstanding panoramic views that cover the Pokhara Valley & Phewa Lake framed by snow-capped mountain peaks. Be back at your hotel in the evening. Overnight stay in Pokhara. Day 06: - Pokhara drive to Kathmandu 205 km, 6-7 hrs. After a leisurely breakfast drive to Kathmandu through scenic high way, reach to Kathmandu by late afternoon. Check into rooms at the hotel in Thamel. Have a rest and go shopping for handicrafts, mementos…. Late evening is reserved for a farewell dinner. Day 07: - Final Departure. Post breakfast airport we will transfer to Airport. Hotel Accommodation for the tour including breakfast. Local transportation by private car/van/hiace, flight is available for Pokhara by adding extra cost.